Chinese quick service restaurant giant Panda Express will pay $150,000 to settle an EEOC lawsuit on behalf of at least three female teenagers who were allegedly sexually harassed between 2007 and 2009 while working in a restaurant in Kauai, Hawaii, the federal agency announced today. Sexual harassment violates Title VII of the Civil Rights Act of 1964.Â The EEOC filed its lawsuit in September 2012 in U.S. District Court for the District of Hawaii (EEOC v. Panda Express, Inc. and Panda Restaurant Groups, Inc., Case No. 1:12-cv-00530-SOM-RLP) after first attempting to reach a pre-litigation settlement through its conciliation process.Â As part of the settlement announced today, the parties entered into a two-year consent decree requiring Panda Express to designate an in-house equal employment opportunity (EEO) coordinator; revise and distribute its anti-harassment policy and procedures; and provide annual sexual harassment training to all employees in Kapaa and to all general managers in the state of Hawaii.Â EEOC will monitor compliance with the agreement, and Panda Express agreed to reinforce its protocols relating to complaints of sexual harassment in its Hawaii region. After allegedly stealing the master key from the Super 8 Hotel on Route 17, a Hillburn, N.Y., man was arrested on charges of burglary, theft, and drug possession, according to Police Chief James Batelli. 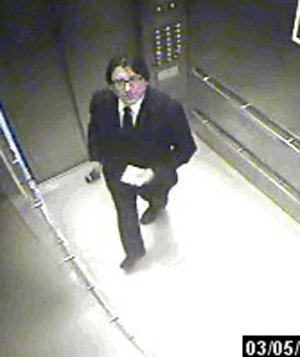 Frank Hadley, 40, who was a registered guest in a room on the third floor of the hotel from May 14-21, was arrested Monday, May 20, after an investigation by the Mahwah Police Department found he had stolen the master key and broke into hotel rooms. Another guest, who was also staying on the second floor, reported that he was wakened by a knock at his door followed by the sound of the key card accessing the room. The guest went to grab the door and confronted the perpetuator who “rambled about having problems with satellite reception on the third floor,” Batelli said. The customer didnâ€™t get a good look of the man at his door because of poor lighting, he said. Investigators say an electrical fire caused about $400,000 in damage to a popular Clinton Township restaurant Tuesday night. 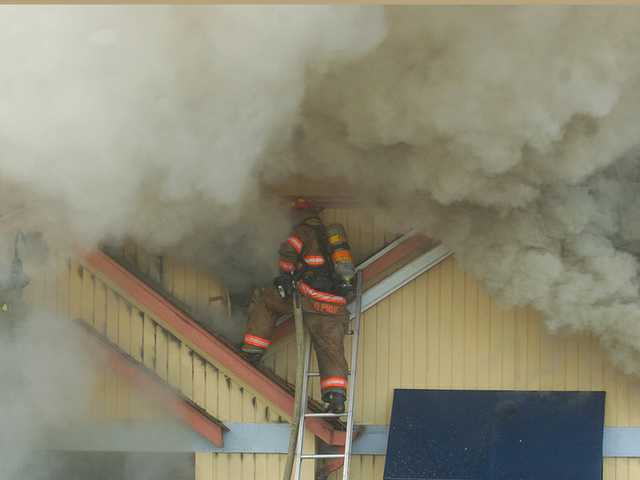 The fire broke out at J. Baldwinâ€™s Restaurant & To-Go location at 16981 Eighteen Mile Road at about 9:54 p.m., Clinton Township Fire Chief Jack Shea said today. The main fire was under control in 20 minutes, but it took another couple of hours to put out small fires that had extended elsewhere in the building, Shea said. Firefighters cleared the scene at around 12:30 p.m. The restaurant is open until 10 p.m. on Tuesdays, according to the companyâ€™s website. Shea said there were people at the establishment, but it was about to close. No one was injured in the blaze. 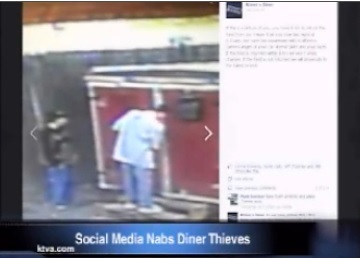 The owners of a Midtown restaurant are crediting social media with helping nab the suspects who stole meat from the company freezer. The payoff came Sunday, just after noon, when Krinerâ€™s Diner updated its Facebook page, writing that “Facebook friends” had spotted the car in question and called the police, resulting in an arrest. Itâ€™s a call the restaurantâ€™s owner said wouldn’t have happened without the postings on social media. Kriner said he uses the social network often, posting specials and other information about his restaurant, but never before had he used it like this. Kriner said he couldnâ€™t comment on the details of the still-active investigationâ€”he declined to disclose just how much meat or what other products were stolen, nor how many suspects had been arrestedâ€”but he said the postings on Facebook played a vital role making the arrest. StoneÂ Pony Pizza, Inc., a Clarksdale pizza restaurant and bar, violated federal lawÂ by refusing to hire a class of African-American applicants because of theirÂ race, according to a lawsuit filed on Friday, May 17, 2013 by the U.S. EqualÂ Employment Opportunity Commission (EEOC). 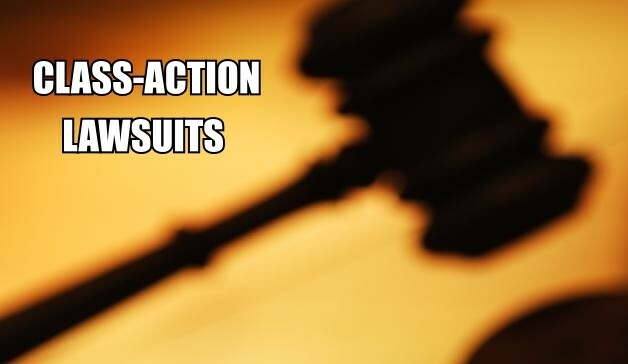 The EEOC filed suit, Civil Action No., 4:13-cv-00092, filed in U.S. District Court for the Northern District ofÂ Mississippi, Greenville Division, after first attempting to reachÂ a pre-litigation settlement through its conciliation process. TheÂ suit was brought under Title VII of the Civil Rights Act of 1964 whichÂ prohibits discrimination based on race and color.Â The suit seeks monetary relief in the form ofÂ back pay, compensatory and punitive damages, hiring relief and an injunctionÂ against future discrimination. 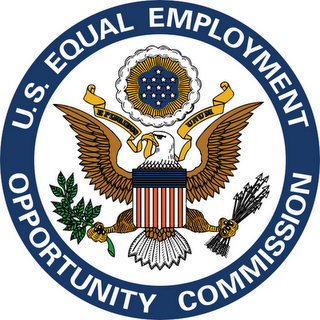 Eliminating barriers in recruitment and hiring, especiallyÂ class-based recruitment and hiring practices that discriminate against racial,Â ethnic and religious groups, older workers, women, and people withÂ disabilities, is one of six national priorities identified by the Commission’sÂ Strategic Enforcement Plan. A hotel executive has been fired after the hotelâ€™s manager told police that he had been writing extra paychecks to himself. Airport police were called this week to the Radisson Indianapolis Airport, where the general manager handed officers copies of fraudulent paychecks that had been written to the hotelâ€™s director of human resources. General Manager Nitin Talati declined to comment in his hotelâ€™s lobby on Thursday. His staff could be heard telling phone callers that the hotel was entirely booked for this weekâ€™s Indianapolis 500. Police said Talati told them he had called the employee in when the checks were discovered and the worker admitted to writing himself the extra paychecks. The worker then signed a promissory note on April 12 agreeing to repay the money. 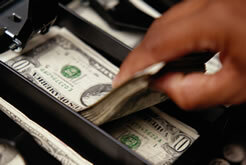 Talati reported to police that none of the money had been repaid, so his company now wants to press charges. Bowman, a retired Army sergeant first class, asserts that he called the respondent prior to visiting Houston on business to see if its hotelsâ€™ pools had some means of access for the disabled such as himself only to be told there were none, adding he â€œindependentlyâ€ verified the absence of a pool lift at the facilities. In 1992 Stella Liebeck spilled a cup of McDonaldâ€™s coffee that she had between her knees, scalding her thighs, buttocks and groin. 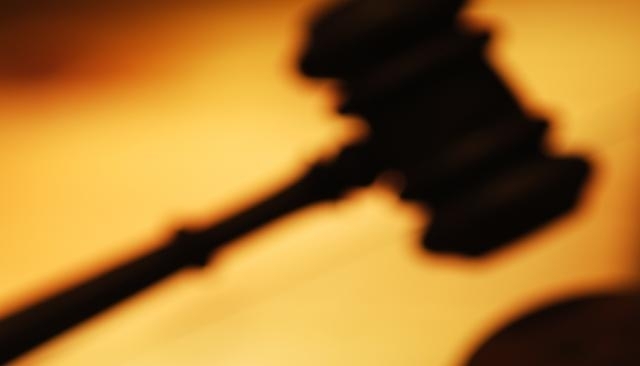 The 79-year old woman, who later sued, suffered third-degree burns on six percent of her body. The lawsuit, which gained national attention, initially resulted in a jury awarding Liebeck $160,000 to cover medical expenses and an additional $2.7 million in punitive damages. The jury held McDonaldâ€™s 80% responsible and Liebeck, who resided in Albuquerque, New Mexico, 20% responsible for the accident. McDonaldâ€™s, who appealed the verdict, eventually settled the case with Liebeck for an undisclosed amount, less than $600,000. Industry watchers were horrified in 2005 when a woman from Las Vegas claimed to have found a finger in her bowl of Wendyâ€™s chili at a San Jose, California unit. Because of the adverse publicity sales at Wendyâ€™s declined nationwide. Following the incident the FBI ran the fingerprint of the detached finger through its database with no matches found, and Wendyâ€™s offered a $50,000 reward for information leading to the source. As it turned out the woman, Anna Ayala, had a history of lawsuits, filing 13 in Nevada and California. Ultimately the finger was traced to an associate of Ayalaâ€™s husband who had lost the finger in an industrial accident. Ayala later pleaded guilty to conspiring to file a false claim and attempted grand theft. The restaurant industry collectively held its breath in 1993 when four children died of an E. coli 0157:H7 outbreak and 600 others were sickened. The outbreak occurred as a result of patrons eating undercooked hamburger patties at Jack in the Box locations in the Pacific Northwest. Parent company, Foodmaker, faced 90 lawsuits, each of which was settled quickly, some in excess of $7 million. The company, which stared down bankruptcy, lost thousands of customers as a result of the tragedy. Following the outbreak the chain hired highly respected food safety consultant David Theno to lead their turnaround, which ultimately made Jack in the Box the industryâ€™s gold standard concerning food-handling practices. Quick-serve Taco Cabana alleged in court that the look and feel of its restaurants had been ripped off by Two Pesos, another quick-serve Tex Mex chain. Taco Cabana argued that its competitor had copied its 24-hour patio cafÃ© concept, and virtually all of its interior and exterior design elements. Suing in 1987 for infringement of trade dress, the Taco Cabana lawsuit wound its way through the U.S. court system and ultimately landed in front of the U.S. Supreme Court in 1992, where the court upheld two lower court rulings. Those courts had decided in favor of Taco Cabana, awarding approximately $2 million damages. In-N-Out doesnâ€™t have any units in China but its owners were none too pleased to find out that CaliBurger was serving up a Double-Double (In-N-Outâ€™s signature burger) and also had similar architectural features, as well as palm-tree print cups and Animal style fries. Once the lawsuit for trademark infringement was filed earlier this year, CaliBurgerâ€™s owners, who were Americans with offices in Diamond Bar, California, agreed to tweak its menu and dÃ©cor. â€œThe matter has been resolved,â€ has been the only comment from In-N-Out. Taco Bell lawsuit asks, â€˜whereâ€™s the beef? You can call it a crime-fighting network of sorts. 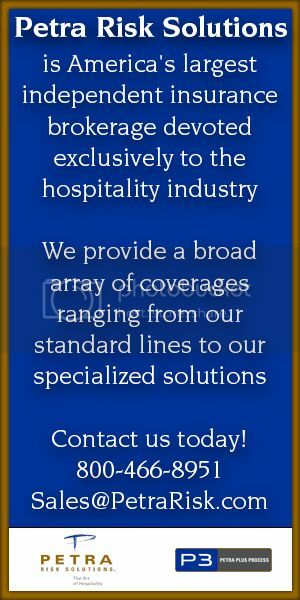 Area hotels and motels work together to help keep you safe. “You never know when a situation will come up, ” said Bill Brendel, General Manager of the Crockett Hotel downtown. Unfortunately, Brendel went on to say the crime at the top of hotelsâ€™ list are car burglaries. You’ll find most hotels have signs warning you about them. “So we just tell people don’t leave a bunch of things in your car, ‘ Brendel went on to say. 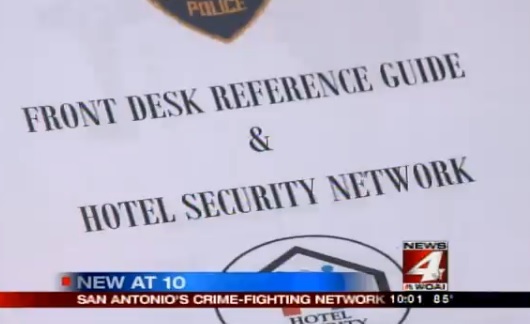 During the peak of the summer tourist season Brendel says the San Antonio Police Department will work closely with downtown hotels to keep an extra eye on your car. “And they do extra surveillance, and it’s been very effective, ” said Brendel. A Fayetteville woman is seeking in excess of $10,000 in damages after she claims she became sick after eating at a restaurant at a Holiday Inn. Last week the Cumberland County Department of Public Health alerted the public of a possible salmonella outbreak after dozens of people claimed to have gotten sick after eating at the Holiday Inn Fayetteville â€“ Bordeaux. The Cumberland County Department of Public Health says at least 70 people have reported signs or symptoms consistent with salmonella infections and five people were hospitalized. Twelve of those who reported symptoms are out of state. All of the people appear to have eaten at the All American Sports Bar and Grill and The CafÃ© Bordeaux within the hotel. 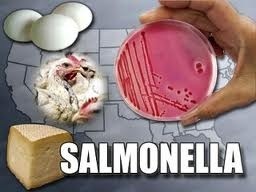 Health officials are worried that the outbreak could spread nationwide because the hotel is alongside Interstate 95.